The Lotus Fire Case is currently available in six colors and the refillable lighter can be used interchangeably. Detachable butane lighters can be refilled quickly and easily. 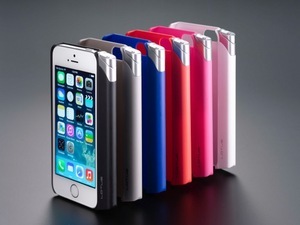 BURLINGTON, VT--(Marketwired - Nov 24, 2014) - Lotus, a global lighter industry leader, has officially released the Fire Case (lotusfirecase.com), an all-new smartphone accessory designed specifically for the iPhone 5 and 5S with the iPhone 6 version set to launch this winter. The Fire Case is currently available in six colors, and the refillable lighter can be used interchangeably. 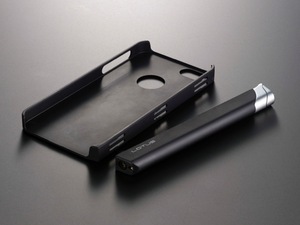 "The Lotus Fire Case is everything you need, all in one place," comments creator Aaron Fastman. "Our smartphones are constant companions, so it makes sense to incorporate them into as many of our daily life necessities as possible." The Lotus Fire Case is designed to meet TSA lighter regulations for safe travel and made from flame-resistant plastic that can withstand up to 850 degrees Fahrenheit. Lotus designers have created and positioned the lighter perfectly so it will never damage the iPhone and can be placed safely into backpacks, purses or pockets. Consumers can refill the detachable butane lighters quickly and easily with Lotus Fire Case Butane. Each can of butane lasts for up to 100 lights, making the case convenient and long lasting. Users can customize their Fire Case and detachable lighter to their own style by mixing and matching with the six color choices: black, silver, blue, red, pink and white. Available exclusively online for purchase, the Lotus Fire Case retails at $29.99 (MSRP). Consumers can also purchase the detachable butane cans as needed for $5.99 (MSRP). Located in Burlington, Vermont, the creators of the Lotus Fire Case are passionate innovators, driven to fill holes in the iPhone accessory marketplace. Created in 2011 and patented in 2014, the idea was conceived after frantically looking for a lighter but not having one on hand. After teaming up with global lighter industry leader, Integral Designs in 2012, the Lotus Fire Case was born and is now available to consumers nationwide.